Do you find it hard to keep the core of your practice in focus; distracted by the need for ‘business practice’? Does it sometimes feel like your business is like ether, slipping through your fingers? Are frustrated with making your business work? Are there times when you feel disillusioned and that your precious creation is breaking you apart? Does all of the energy for your business come from you; generated by you alone? Would you like your business to be re-energised? Managing the business side of your dream can seem like hard work! Come and spend a relaxing and enjoyable time celebrating your business dream and ‘Journey to Meet the Spirit of Your Business’. If you have a small business, are a natural therapy practitioner, or have a project that is close to your heart, then Life Healing Journeys’ ‘Meet the Spirit of Your Business’ is for you. Having a small business is time consuming and can be all consuming. ‘Heart-centred’ businesses are those where the owner puts their heart and spirit into the business of helping others. Your spirit has difficulty managing the extra load and isn’t able to get much of a ‘look in’ in terms of being nurtured and given self-care; it becomes ‘dis-spirited’. Meeting the Spirit of your business creates your business as a tangible and real entity. It is separate from you and your Spirit, and at the same time both are connected to your Soul’s purpose. This is a unique way to envision your business. You will be guided through a drumming journey to meet the Spirit of Your Business; reflecting the qualities of your soul’s purpose and showing its limitless possibilities. Collage materials will be on hand for you to record and explore your journey. 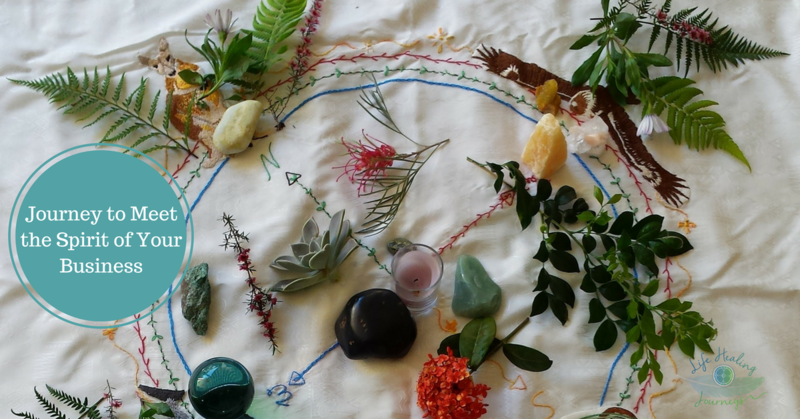 You will be guided to further explore your vision in the context of the body, heart, mind and spirit using an amazing tool, the Sacred Circle Map; to clear the way for your business to flower with new ideas and create the pathway that will allow you to realise them. Life Healing Journeys’ ‘ Meet the Spirit of Your Business’ is a key turning point in helping you to make your business more successful. Plans to take home that will ensure that the spirit of your business is energised and its goals realised in do-able steps. Life Healing Journeys to find the spirit of your business is a key turning point in helping you to make your business successful. By dreaming the Spirit of your business as being separate from YOU and your Spirit, you will be able to separate the two and yet both be connected to your Soul’s purpose. This can be done individually or you may like to join a group journey.